Odin Rathnam uses one word to describe his feelings after he and the Harrisburg Symphony Orchestra parted ways. 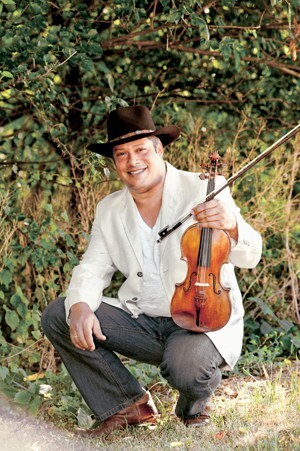 As the separation played out in public this year and the concertmaster performed his final HSO concerts, the Julliard-trained violinist found inspiration from a country song – Zac Brown Band’s Free. “That song was so much like how I felt in my heart,” Rathnam recalls over coffee and a brownie at a Harrisburg-area Starbucks. It didn’t hurt, he knows, that his calendar was already filling up. “The thing I wanted to make sure of when I left the orchestra is that I did not in any way break my promise to Harrisburg or the midstate for remaining an active force in its cultural development,” he says. He has been busy accepting invitations to solo and teach, in the area and worldwide. He rhapsodizes on concert series planned for the Forum in Harrisburg, which will benefit the foundation that memorializes his indomitable mother. It’s easy to imagine the Starbucks patrons fading away and a concert audience materializing, hushed while Odin Rathnam prepares to cue the next movement. Rathnam’s mother, Else Borges, was a fearless woman who spent a life defying authority and who “laughed cancer away” in 1999, hosting parties and fundraisers. In 2007, she returned to the U.S. from her retirement home in Portugal to be near her son and his blended family, with wife Kimberly, of five children. Else spent three happy months setting up her apartment. The day she was to return to Portugal for a break, she suffered a massive brain hemorrhage, and 36 hours later, his 70-year-old mother passed away. To fill the void, Rathnam created the Else Borges Foundation for Arts Initiatives. The first benefit recital packed more than 1,100 people in the Forum and raised about $17,000 for scholarships. “That is my solo work as a concerto soloist with orchestras, my chamber music work with my most esteemed colleagues and the passing on of the tradition to the next generation of young artists,” he says. Rathnam’s post-HSO period includes conducting master classes in Denmark, teaching locally, leading a summer academy in Portugal and solo appearances in Mexico City with the Palace of Fine Arts Chamber Orchestra. He has also contracted for local solo appearances in spring 2013 with the Hershey Symphony Orchestra and West Shore Symphony. And spanning the 2012-13 season is a concert series called Classical Passion at the Forum to support the Else Borges Foundation. On October 28, Rathnam and pianist Robert Koenig present some of Rathnam’s favorite recital pieces. On March 17, “Odin Rathnam & Friends” will play Brahms and Schumann – “some of the most beautiful chamber music in the repertoire, but big pieces that can fill the Forum with sound.” On June 23, “the most exciting one,” Rathnam and a full-string orchestra in Fire and Ice: 8 Seasons of Vivaldi and Piazzolla. “Incredible, incredible,” Rathnam predicts, but that’s not the most exciting part of the June 23 concert. The orchestra will include students from a nine-day string camp held before the program, led by prominent youth conductor Gregory Woodridge. Top professionals will coach students through concert and solo repertoire leading up to the performance. Portions of the Classical Passion series proceeds will be donated to Habitat for Humanity, Cultural Enrichment Fund and World Surgical Foundation. Rathnam dislikes “the notion of an aloof artist that doesn’t believe they’re part of the civilization they’re in.” His idols are “outspoken advocates for human issues” – Isaac Stern, Daniel Barenboim, Leonard Bernstein. Whichever way the road goes, Rathnam will be wearing his signature cowboy boots, “ubiquitous, in various colors and styles.” For all his immersion in classical music since childhood, he is also an avid outdoorsman. He once planted his cowboy-booted feet on a table to punctuate his terms in tough-nosed negotiations. His peer work with top chamber musicians will prompt continued growth, Rathnam says. He is moving into a phase of life with “more sense of balance,” Rathnam says. He’ll never abandon his mother’s David vs. Goliath consciousness, but sometimes, “you have to lose battles to win wars.” He will keep learning because he’s “certainly not satisfied” with his current level of artistry. He hopes and trusts that area audiences – whether classical music stalwarts or rookies – will turn out for the journey.